A microscope eyepiece reticle is a small circular glass disc that fits into the eyepiece of the microscope and has a ruler, cross-line or other markings printed on it that are imposed upon the microscope image. Eyepiece reticles are most often used for measuring and counting. The RETCL cross line reticle was placed under the MC70 measuring microscope simply to inspect the reticle markings. The images below were captured at various magnifications using a 5.1mp CCD microscope camera. 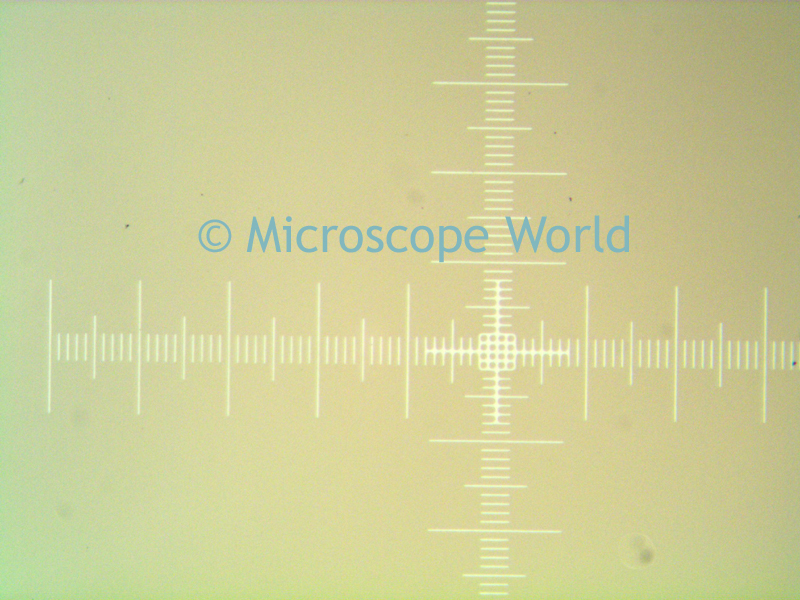 Cross-line reticle at 100x magnification. 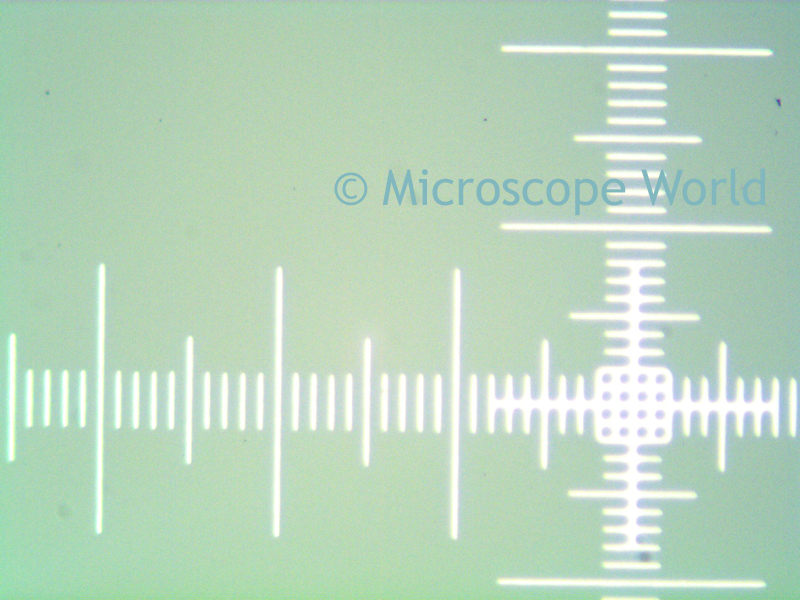 Cross-line reticle at 200x magnification. 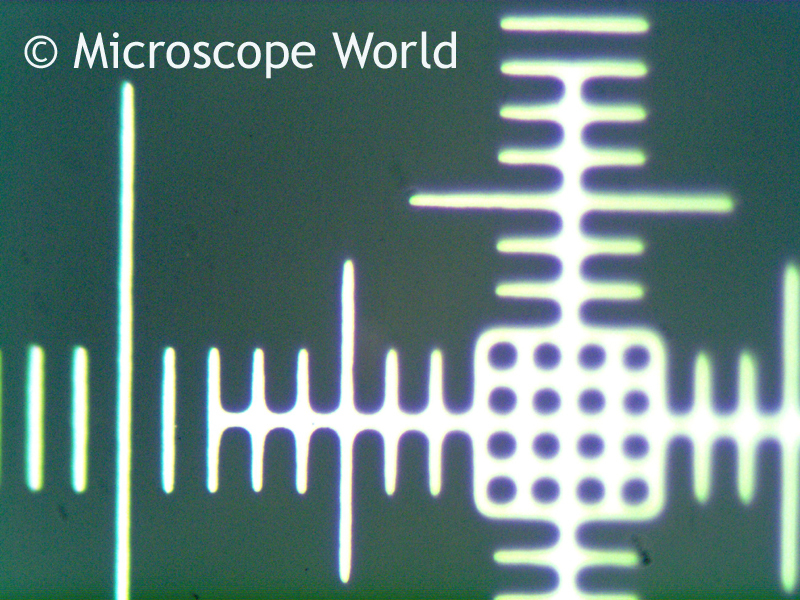 Cross-line reticle at 500x magnification. The RETCL cross line reticle has 10mm / 100 divisions on each axis with 100um between lines.